Anyone who steals an Apple Watch can -- in about 20 seconds -- simply reset it and make it their own. That's because the way Apple designed the Apple Watch makes it surprisingly easy to override your passcode and completely wipe it clean. You can set up a passcode on the Apple Watch. 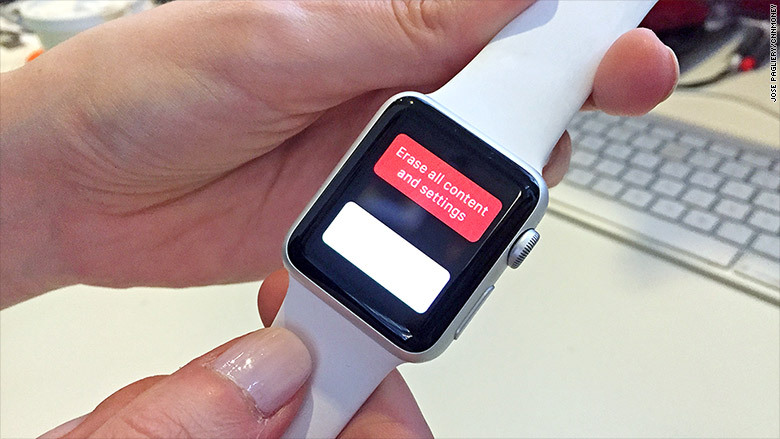 But -- get ready for this -- anyone can just hold down the "Power Off" button, then select and erase all the data on the Watch. By contrast, the iPhone has certain features that make it less desirable for criminals. If you set it up just right, the iPhone can be remotely erased -- or it can require a passcode to do anything. It's widely recognized by law enforcement that these measures reduce the incentive for theft. In fact, San Francisco saw a 40% drop in iPhone robberies in 2014 compared to the previous year. The city's top prosecutor attributed it all to "kill-switch" technology that allowed deactivation of stolen phones. 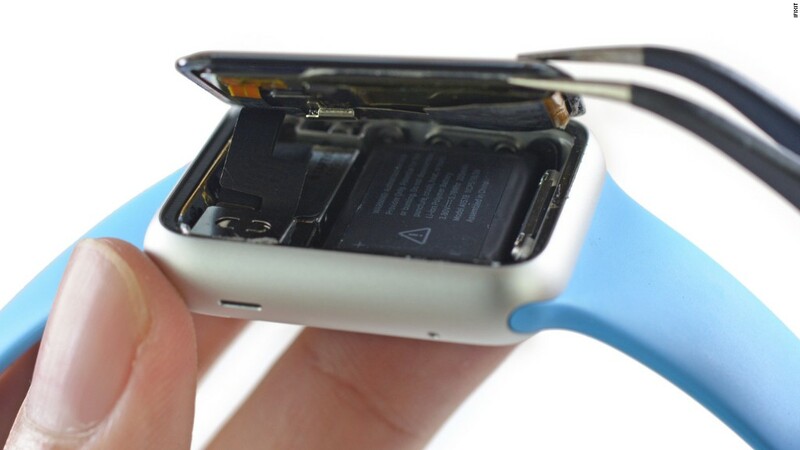 Apple didn't add a kill-switch to the Apple Watch. One reason could be that the Apple Watch doesn't connect independently to cellular networks or Wi-Fi, so sending it a self-destruct messages from afar is a tricky task. Still unclear, however, is why it's so easy for a stranger to simply erase all the data on your Apple Watch without so much as a password. Apple (AAPL) did not immediately reply to CNNMoney's questions. This is an odd move for a company that prides itself on security and privacy. Apple has become a champion for defending user privacy from the prying eyes of governments. And its anti-theft feature, "Find my iPhone," makes it easy for buyers to tell if a phone has been stolen.